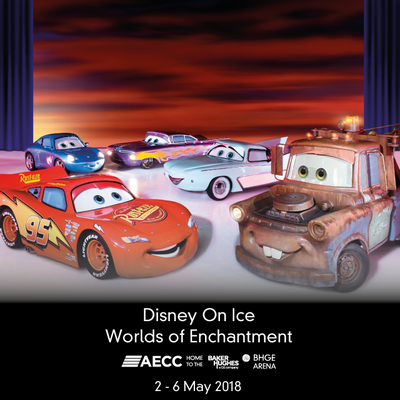 Disney On Ice presents Worlds of Enchantment as their 2018 show at the Aberdeen Exhibition and Conference Centre. 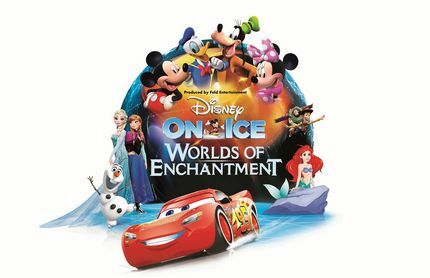 Prepare to be dazzled with their magic live on the ice as they bring you four of your favourite Disney stories. Ariel from The Little Mermaid will enchant young and old from her undersea kingdom. Your favourite toy characters came to the Granite City with new Toy Story action from Buzz Lightyear, Woody, Jessie and pals. The magical wintry world of Arendelle comes alive with sisters Anna and Elsa with their chums Olaf and Kristoff from Disney�s Frozen. Ticket holders may wish to enter the AECC early for the chance to warm up at the Fit to Dance pre-show party! 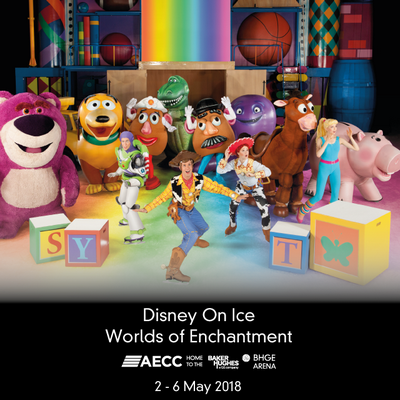 Disney On Ice presents Worlds of Enchantment is produced by Feld Entertainment and takes place from the 2 � 6 May 2018 with the show time starting at 6.30pm each night with 10.30am and 2.30pm shows on the Saturday and Sunday. Disney On Ice Aberdeen is a fun packed show that is full of your favourite Disney characters and has a theme each year. Previous audiences were treated to the tale of Toy Story 2 told by the ice skaters gliding through the ice. There was music and voice overs and the story followed the film. 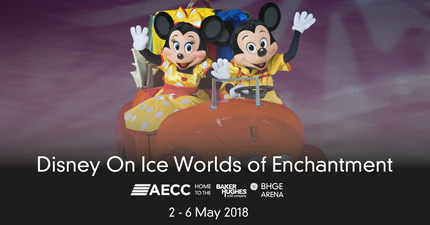 Other shows brought Mickey and Minnie's Magical Journey told through some stunning choreography on the ice with some of the most popular Walt Disney tunes. It ran from Popular stories such as Peter Pan, Little Mermaid, 101 Dalmatians and Lilo and Stitch along with their characters appeared in the arena. More shows to take the children too.